Our expert Fascias, Soffits and Gutters Specialists have kindly agreed to share their wisdom on such topics as gutter cleaning and replacement, fall pipes, fascias, soffits, cladding, bargeboards and much more. I'm having my existing painted wooden fascias and soffits cladded with upvc and wanted to know if it is ok to just clad straight over the existing original ones or would that potentially cause problems as the existing original wooden sofits and fascia's underneath would have no ventilation once they have been clad? hi there, I moved into a new build house a year ago and noticed a very loud flapping noise at night when it was windy. So loud I could hear it throughout the house. I spoke to the builder who said it was whatever kind of felt he had used on the guttering, you could actually see it flapping when looking up at it outside. He initially said there was nothing he could do as the felt was needed to protect the guttering but after being persistent with him he agreed to try and stick it down with some sort of glue. He did this but just outside my bedroom and not around the whole house. I could still hear the flapping but maybe not as loudly and now a year later is it as loud as ever if not worse. I am still trying to get the builder to sort it out as I don't want another winter of sleepless nights. He is saying now that he will come *sometime* and fix it and that he might just have to cut the felt off. This worries me as he initially told me the felt was needed to protect the guttering. Can anyone please tell me if this is the case and if not what is the best way to fix this? Can you cover existing soffits & fascias with upvc ? The reason I ask is the fascias on my garage hold up the roof tiles. Hi, during heavy rain, a small section of my gutter appears to overflow with rainwater and that rainwater runs out and down my rear extension door, which is worrying. I have checked out this section of the gutter and I cant figure out why its doing that and what can be done about it. Ive got videos to demonstrate this in action. Please advise. Thanks. Fascia and soffit before or after rendering? Hi, I'm building a garage and I'm about to fit the fascia and soffit. Should I wait until the walls are rendered before doing this, or does it not matter which is done first. (Just thinking of finished look) I have zero experience in this area, so any advice welcome. Thanks. I have some holes in the fascia left by some screws that held security lights, so what is the best way to neatly fill these in please? I have a mid terraced house which requires new guttering only on the fron of the house and I have been told I will need legally to have scaffolding erected and along with new fascia, soffit and guttering the cost will be around £1100 does that sound reasonable and is it a legal req to have scaffolding? I have had my roof re-tiled/ membrane put in and gutters for £2950 in November 2015. The gutters are leaking, not level and can't get BC Roofing (Ben Carey). to come and fix. Also I see huge gaps of sunlight in the loft. Any idea how to take this forward, I can't get hold of him and I have a 10 year guarantee. I have the trail of mags and videos showing him the problem. Silly, paid him cash so no recourse. I am desperate for advice. I have recently had new fascias and just been in loft for Xmas decorations and attic full of condensation and everything in attic damp. Any ideas please? My soffits need painting. One workman has recommended covering them with plastic soffits. Is this necessary and wise? I realise there is less maintenance in the long term, but covering the wood underneath - is that wise? 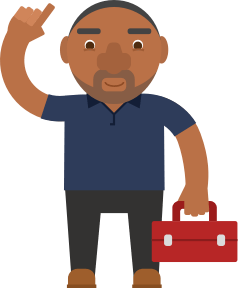 Post a job on MyBuilder to find quality, local Fascias, Soffits & Guttering Specialists who can help you with your project.